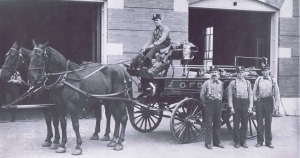 Highland Park Historical Society will host on Wednesday October 7 at 7:00 PM ‘Highland Park Fire Department: 126 Year History of Service,’ with retired Highland Park Fire Department personnel Captain Tom Mann and Firefighter/Paramedic Roger Underwood. Since its inception as a volunteer fire department in 1889 (professionalized in 1924), the Highland Park Fire Department has had two losses of life on duty: Lt Frank Freeberg (1956) and Lt. William Perry (1958). Notable fires highlighted will be theNorthwesternMilitaryAcademy’s three fires (1888, 1902, 1915), Ravinia Pavilion (1949), Ruby’s Delicatessen (1960) and a gasoline tanker fire (1983). This presentation will feature rarely seen images from the archives of the Highland Park Fire Department and Highland Park Historical Society. There will be a personal perspective of the life of a fireman by second generation Highland Park Firefighter Captain Tom Mann (retired). 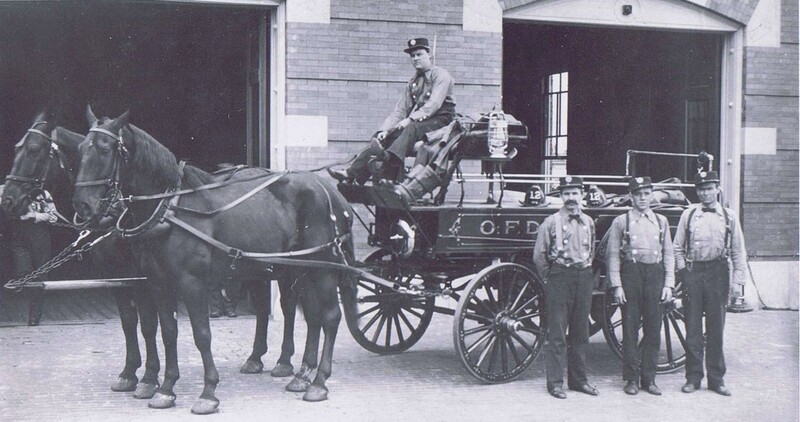 ‘Highland Park Fire Department: 126 Year History of Service,’ will be presented at the Highland Park Public Library Auditorium 494 Laurel Avenue, Highland Park. For further information, please contact the Highland Park Historical Society: 847.432.7090 or [email protected]. Admission is free.